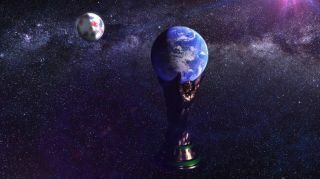 The quadrennial international football tournament, FIFA World Cup, one of the most viewed sporting events in the world, is currently in progress and into the second week of play. The tournament, which started in 1930 Uruguay, is witnessing its 21st edition this year in Russia. A total of 33 teams are participating in it, including Russia. What makes the mega-event all the more enthralling is that you can bet on your favourite team/s and/or player/s, thus increasing the involvement and excitement levels of the games! Out of the various betting options you can opt for in FIFA World Cup 2018, the most popular is handicap betting wherein you apply a goal handicap to balance out the perceived differences in abilities of the concerned teams. While favourites of a football game start out with a negative handicap (they need to overcome), the underdogs get a positive handicap benefit. For instance, if the handicap is 1.5 points, the underdogs start the game with one goal lead. Another popular betting format is 1×2 betting, where you bet on the probability of a team winning, losing or drawing the match. You get a payout if the wager turns out to be in your favour. In totals betting, a number is suggested as the combined highest score (of both the teams), and one has to bet if the actual score would be more or less than the suggested combined score. Betting in the World Cup is fairly simple. Choose a reputed online bookmaker that allows access to the many FIFA World Cup betting markets. These platforms usually provide odds of different teams, which essentially are the chances of these teams to win that particular event. Subsequently, one can create an online account, deposit a certain amount and place bets on teams from the available markets. Different markets would offer varying prices and payouts for a bet. Once a selection has been made, it is reflected in one’s bet slip. Many online sites provide attractive offers (such as the 888Sport bonus offers) and bonuses to the new sign-ups. The usual preferred method of payment is via credit and prepaid cards, with around 65% of the bets being placed before the match and 35% of the bets being made during the live game. The current edition of FIFA is expected to see an investment of around $ 11.6 billion by Russia, with approximately $ 6 billion revenue for FIFA from the event. This season, both Germany and Brazil are topping the charts of most favoured teams. Although both the teams haven’t had a great start in the tournament, Germany losing 0-1 Mexico and Brazil drawing 1-1 with Switzerland, there’s still a great amount of money riding on these two sides. Germany, the defending champions are the strongest contenders in their Group (F) with a star team, including Thomas Müller, Timo Werner, and Manuel Neuer. France and Spain come next in the most favoured nations. France has conventionally had a strong performance in FIFA World Cups and performed well in the last Euro Cup (reaching the finals).